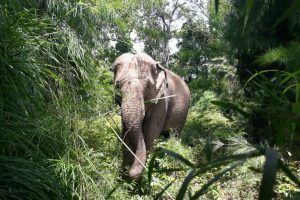 Out of all the exotic animals, elephants are what Yok Don is best known for. In old days, the area was renowned for elephant hunting and domesticating. Up until just earlier this year, elephant riding was still a part of the tourism activities. 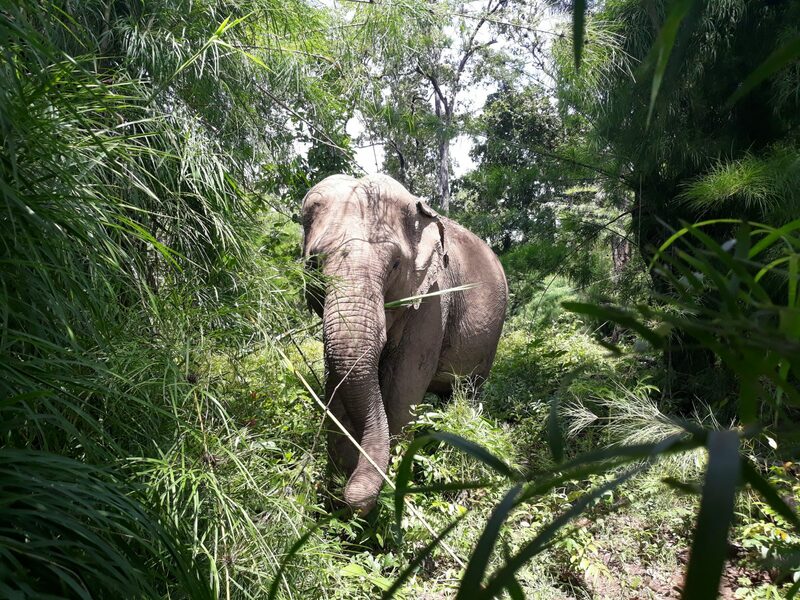 Fortunately, with the help of an animal welfare organization, Yok Don elephants’ welfare now comes first. 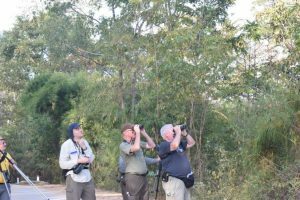 This tour offers a wonderful opportunity to explore the forest in search of the three elephants who were once domesticated and leashed under the ownership of the Park. Now they can freely roam with their fellow wild elephants in their natural habitat. 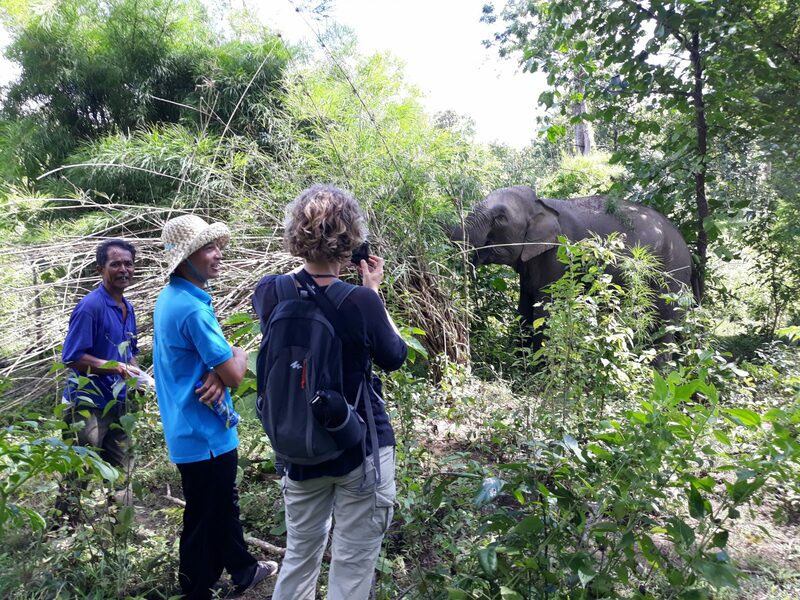 In July 2018, with the support of Animals Asia Foundation, Yok Don National Park stopped offering tourism rides with their three elephants and converted to a more elephant friendly model. In this new model, the elephants’ welfare comes first. Visitors observe these intelligent giants of the animal world behaving completely naturally in their own environment. 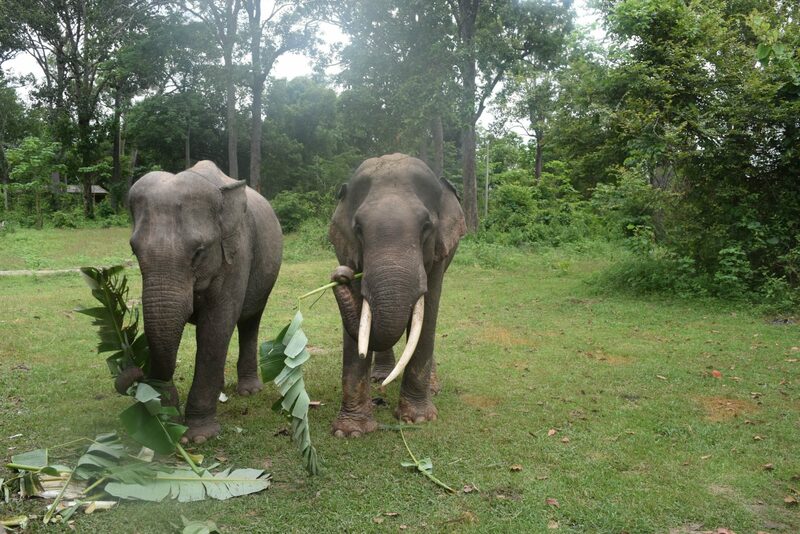 They are free to play, to forage, to interact with each other and to simply be elephants. 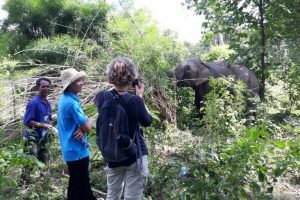 These tours are the only ethical form of elephant tourism in Vietnam and are fully endorsed by global animal welfare charity, Animals Asia. * Price: from $32/pax. For the best price, please contact us. 8 a.m / 1.30 p.m: Meeting at Yok Don National Park. From Yok Don’s guest room, you will trek into the forest using the trail that the rangers often take. 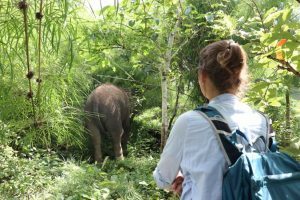 Your guide will tell you about each individual elephants’ personality, their background and why they are living in Yok Don. 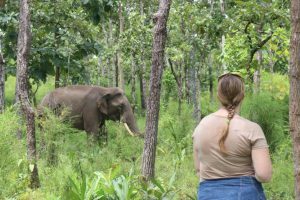 The ethnic minorities in this area have a long history of training and working with elephants and your guide will share these stories too. 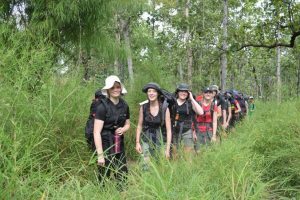 During the trek, your guide will share their knowledge of the national park, pointing out many species of plants and wildlife inhabiting in the forest, and showing you the plants used in traditional medicine by some of the local ethnic minority people. One interesting aspect in elephant tracing is that you may encounter signs of the rare wild elephant community within the park, such as their footprints, foraging signs or even dung. Tour ends at 11 a.m for the morning tour or 4.30 p.m for the afternoon. * Price: from $60/pax. For the best price, please contact us. You will enjoy a picnic lunch in the forest. You might encounter signs of the rare wild elephant community within the park, such as their footprints, foraging signs or even dung. 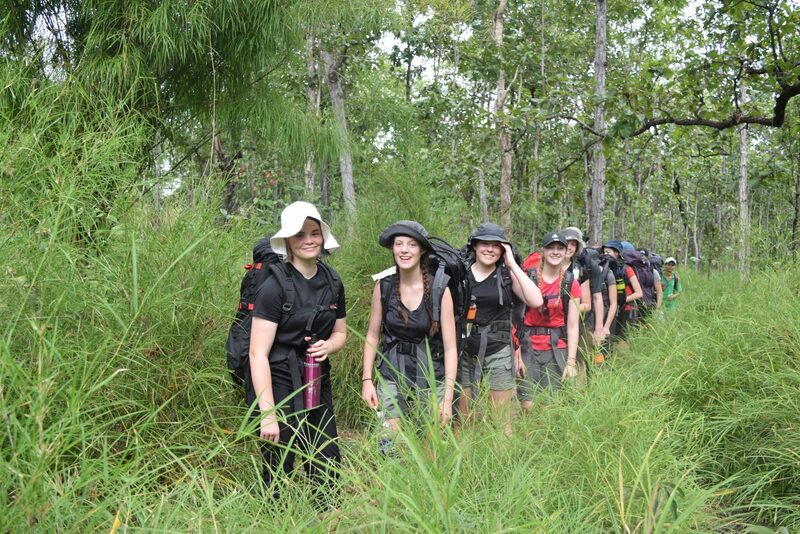 During the trek, beside knowledge about elephants and their habitat, your guide will share their knowledge of the national park, pointing out many species of plants and wildlife inhabiting in the forest, and showing you the plants used in traditional medicine by some of the local ethnic minority people. Starting time: 8 a.m (half-say tour) or 7.30 a.m (full-day tour). Meeting point: at the meeting guest’s room in Yok Don National Park Management Board Office (a pinpoint of exact location will be sent with our confirmation email).